Triumph is known for producing successful Urban Sports equipped with three-cylinder engines and a lot of attitude and the 2008 Speed Triple tops it all with the help of some nice finishing touches like a new LED rear light, a redesigned radiator, black anodized front forks, and new tapered anodized aluminum handlebars. Not quite stylish just very efficient, the Brembo radial front brakes are also new on the bike, as well as the rear sub-frame. had a wonderful time on the new Speed Triple and I would have never given it away. This ride really meant something because it opened my eyes towards stripped down machines that my comfort-oriented brain doesn’t tend to appreciate very much. The first few miles I couldn’t erase the smile from my face and at the end of my three days of test riding the Speed Triple, it became practically a reflex. It was the single obvious result of the blast offered by this bike and it could be noticed from a block away. No other roadster or sport-touring motorcycle accommodated me the way this Triumph did. The seat is very comfortable and even though at first I thought it is just a sweet oneself, the 600 miles I’ve rode on it proved contrary. Things wouldn’t have been the same without the natural riding position offered by the handlebars which are, of course, carefully positioned in order to be at easy reach and so offer a relaxed riding feel. Speed Triple’s 1050cc liquid-cooled, DOHC, in-line three-cylinder produces a claimed 131bhp at 9,250rpm, and 77ft.lbf at 7,550rpm. I noticed that it pulls awesome from down low, delivers strong, linear power all through the rev range and still retains the strong feel while riding at around 135mph. The bike can easily go higher and reach a TopSpeed of approximately 160mph, but being a roadster, I preferred keeping things easy on the top end in sixth gear. I enjoyed taking corners on this Triumph as it has a low center of gravity and a perfectly balanced chassis which keeps it nice and steady while your eyes follow the exit from the curve. It can be easily maneuvered through city traffic and tight corners at slow speeds won’t become your everyday nightmare. The clutch engages smoothly and you won’t have any problems with quick departures. But while trying to maintain the adrenaline rush you may happen to miss a gear or two. That only happens when you think you’ve sorted things out and try to see what it can do best. 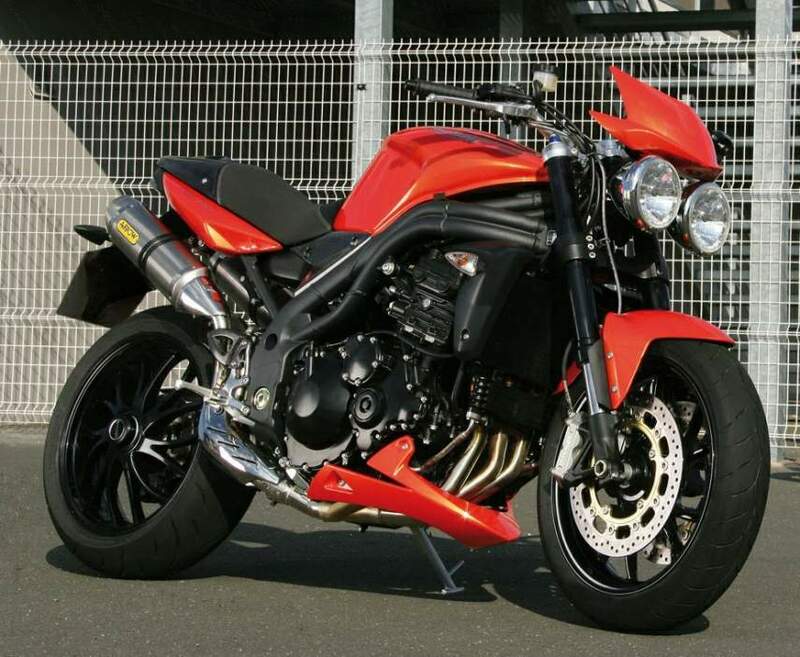 If you’ll exploit it as it was designed and tuned to, the Speed Triple will carry you for many years onto those long journeys on country side roads, highways, and, why not, crowded cities. For 2008 the brakes are new and after reading this test ride you won’t be surprised to hear that Brembo radial front calipers are mounted on the bike. These units do their job spotless and there is no ABS version available because people at Triumph seem to know best what they are doing. Firmly pulling the front brakes won’t introduce you to a wheelie, but if you are familiar with Urban Sport, you can easily go your own way and through a wheelie. 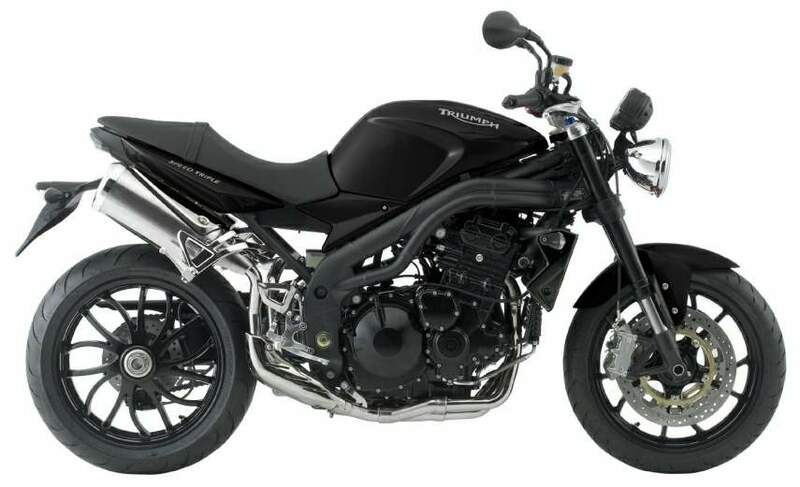 With the 2008 Speed Triple, Triumph takes further the powerful legacy of both this very successful model and the three-cylinder engine that starts controversy for some, and makes other’s hearts beat faster and harder. 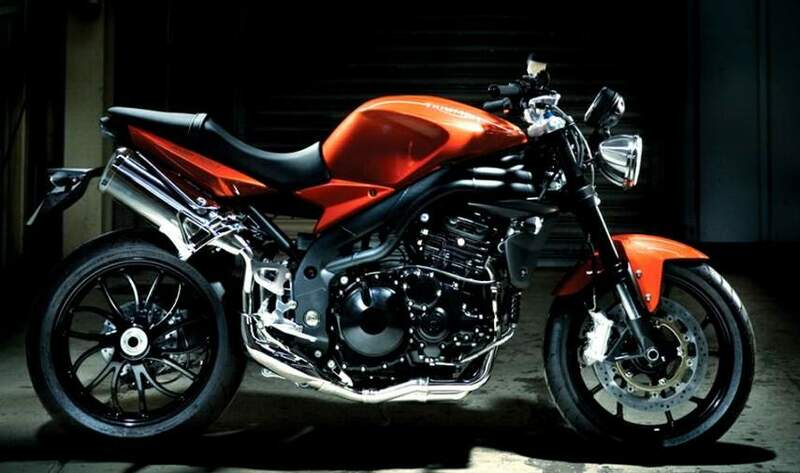 By having the horses of a modern day 600cc supersport motorcycle and streetfighter looks, the Triumph Speed Triple proves balancing muscle and style with accuracy.